YOU MAY HAVE SEEN OR READ ADVERSE REPORTS ABOUT GOING ABROAD FOR BARIATRIC GASTRIC BAND SURGERY. WE WOULD LIKE TO PUT YOUR MIND AT REST AND GIVE YOU THE FOLLOWING ASSURANCES. 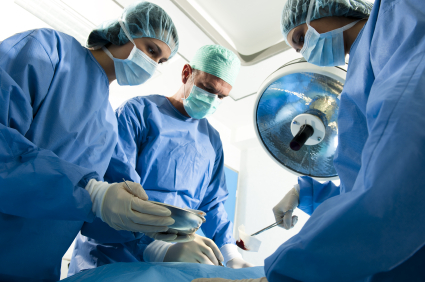 ALL OF OUR SURGEONS ARE QUALIFIED AND REGISTERED TO PRACTICE AS SURGEONS IN THE UK AND EUROPE. COMPLICATION AND PROBLEMS ARE VERY RARE IN BARIATRIC SURGERY. TO ASSURE OUR UK AND IRISH CLIENTS, WE HAVE PUT IN PLACE ARRANGEMENTS WHEREBY AFTER-CARE AND RE-FILLS ARE ALL UNDERTAKEN IN THE UK AT ONE OF OUR REGIONAL CENTRES, WHICH ARE ATTENDED BY QUALIFIED AND EXPERIENCE STAFF IN THE MANAGEMENT AND AFTER-CARE OF BARIATRIC SURGERY PATIENTS. IN EUROPE RECOMMENDATIONS FOR PRIVATE GASTRIC BAND SURGERY PATIENTS ARE A BMI OF BETWEEN 30 AND 50. IN THE UK THE MINIMUM IS A BMI OF 35, BUT NHS SURGEONS WILL RARELY OPERATE WITH A BMI OF LESS THAN 40. THESE PARAMETERS ARE ONLY RECOMMENDATIONS AND NOT REGULATION.